A second wine from the TWP series of wines. Almost a month ago I wrote about the Viognier so now it’s the turn of the Shiraz. Clare Valley Shiraz is quite a ‘thing’ and one which sits all too firmly in the shade of the much lauded, and generally excellent value, Rieslings. As the region is cooler than the more Shiraz-famous Barossa you do see a considerable difference in style. 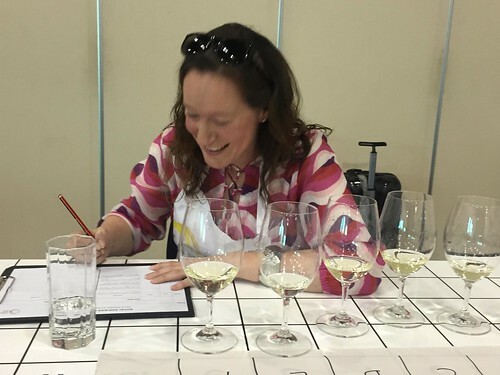 Think of the Barossa wines as the bubbly, bright, out-going but perhaps ever so slightly in-your-face counterpart to Clare’s quieter wines, more thoughtful perhaps, a slightly more elegant or understated dresser. They can be different wines for different occasions and I generally find that those who loves the fullness of a Barossa Shiraz find cooler climate wines more difficult to deal with. Personally, I have a bit of a thing for cool(er) climate Shiraz so wines from Clare are often right up my street and I’ve been lucky enough to taste some stellar wines with some reasonably serious age on them. Of course, this wine is a current release and something of a baby. In this respect, it looks very approachable and I reckon that dyed in the wool ‘big’ Shiraz drinkers will be quite happy. In that respect, I think it’s an excellent introduction to Clare Valley Shiraz and should open plenty of punters’ eyes to Clare’s offerings other than Riesling. In the glass, intensely purple. The nose is pronounced and comes across as a little hot. It is all about plums, fruit cake, sweet spice, licorice and dark chocolate. The palate very much reflects the nose: tonnes of fresh fruit – plums and blackberries – along with some vanilla which didn’t show up on the nose. It does also seem a bit hot here too – but, interestingly, this heat really backs off give some time in the glass, so I wonder if decanting this wine (with a good splosh to get some air through it) would be worth the effort. The wine is well balanced, with some reasonable acidity and very soft tannins and reasonable length. Initially I had some misgivings about the heat of the wine but time in the glass really sorted that out. 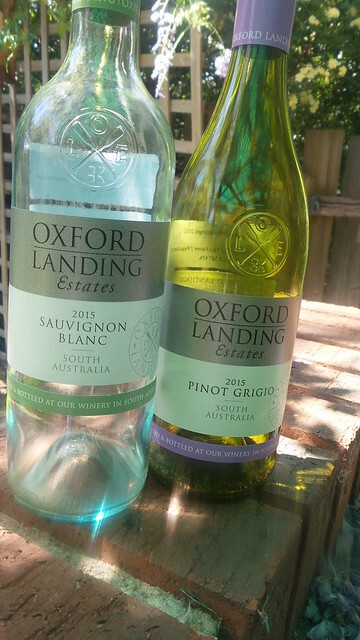 The wine has plenty of oomph, so it will work well with a range of food – particularly barbecue over summer. And on that note, I’d also like to draw your attention to a new Taylor’s campaign/initiative regarding wine service temperature, Better By Degrees. With red wines, in particular, should not be served at ambient temperature when it’s 43 degrees in the shade. Taylors Winemaker’s Project Clare Valley Shiraz, sample. RRP $25. Again, a cellar door exclusive so online may be your best bet. I am not a woman who turns her nose up at some residual sugar (RS, if you want wine-geek talk) in a wine. This doesn’t mean I get excited by a run of the mill Moscato, or an overly sweet and confected rosé or indeed any wine which has been crafted with the 18-24 ladies in mind. But RS can be such a clever and beautiful thing in wine and I, for one, am so happy that the Riesling pendulum is regaining some equilibrium. Yes, those austere, limey Clare Valley Rieslings are lovely in their vaguely terrifying way (I say that affectionately) but leave a touch of sugar in the wine and it can transform what is in your glass. It’s not surprising I am a fan of German Rieslings and many of the Australian Rieslings which are embracing this (the RieslingFreak No 8 is a standout on this front). The Pewsey Vale Prima has been at the vanguard of what is hopefully a trend. This was the very first wine I used in a WSET course when I needed an off dry Riesling. Before ‘off dry Rieslings’ attempted their moment in the sun. It is consistent – consistently good. I’m a fan. Riesling ages beautifully, dry or not. 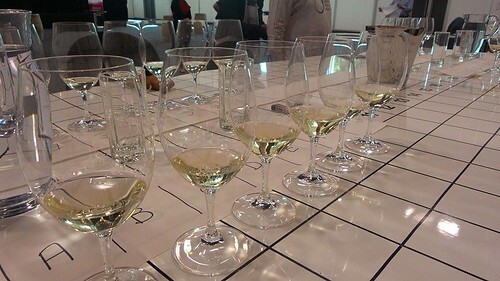 But the off dry Rieslings have the added bonus of being very light on the alcohol. Yeast converts sugar to alcohol. The grape juice has all that sugar in it. If you ferment it all out – you have a dry wine with higher alcohol. Don’t ferment it out and the chances are you have a slightly lower alcohol wine. This baby comes in at just 9.5% alcohol with ~ 25g/L of residual sugar. Given the human tongue starts to detect sugar around 4g/L that’s quite a lot for our tongues to deal with so the wine needs to have some serious acidity otherwise we’ll feel like we’re drinking golden syrup. And, of course, acidity is what Riesling does well. Can you tell how excited Riesling makes me?! Very pale in the glass with a reasonably, but not excessively, pronounced nose. 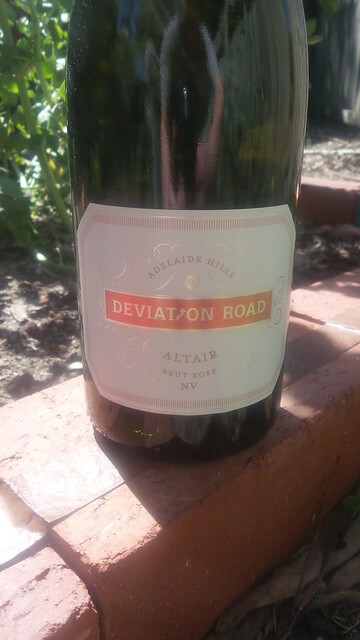 Very typical Riesling – rosewater, Turkish delight, honeysuckle with some lemon/lime in the background. Super appealing. To describe this wine in one word, the word we choose is ‘sherberty’. Whether that is an actual word is irrelevant, as it captures the awesome combination of acidity and sugar we find in the wine. It’s a combination of crisp green apple, that green apple skin, some slices of that apple that have had a good dunking in lemon and lime juices. This all means that the sugar is not immediately apparent or overt. The mouth feel is amazing and the wine has great length. My wine tasting note does actually include the words ‘absolutely delicious’ and ‘bloody excellent’. $26 a bottle. I don’t get it. I really do not get why Riesling is never the ‘it’ drink. I don’t get why people pay the same money (or even more) for wines that are less exciting. Anyway, I suppose that is a good thing – Riesling stays ludicrously cheap and there is always a hefty supply of it (much of it in my cellar). 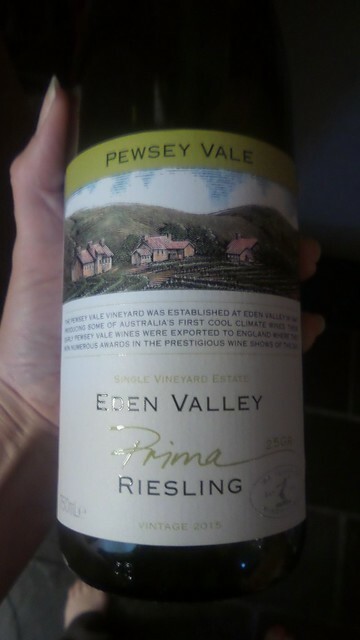 Pewsey Vale Prima Riesling, sample. RRP $26. As I’ve documented elsewhere, Viognier and I have a difficult relationship. I hated it, I fell in love with Condrieu, I fell out of love with the price tag and I have had fleeting dalliances ever since. Viognier’s now on the WSET Level 2 tasting list so I’m forced to feign a more regular interest in this grape. It also meant that I approached this wine with an academic, as well as a personal, interest. The grape is picky, low yielding and temperamental in the hands of the winemaker which means that it’s not hugely widely grown. It’s natural home is the northern Rhône in France (you’ll find it solo as a white wine most famously in Condrieu and Ch Grillet) and it’s grown in a few pockets worldwide, including Australia. In the glass, a distinct mid-gold colour. On first glance, this wine stands itself apart from wines like Sauvignon Blanc or Pinot Gris/Grigio. The nose is actually quite subtle for a Viognier, but it is still noticeably dominated by apricot. In this wine’s case, it is dried apricot, backed up with the fresh fruit and a touch of spice. The palate shows even more dried apricot and a slightly bitter apricot kernel finish. The acidity is not bad but a bit of extra zing does not go astray and I recommend serving this wine reasonably well chilled – that seems to liven things up quite a bit. The wine does have really lovely weight and mouth feel. Because this wine does not show off the overt fresh apricot that is really typical of Viognier it will be an excellent introduction to the wine, or re-introduction for someone who thinks they don’t like Viognier. On day 2 it actually was drinking pretty well although the alcohol stuck out a bit more. The fact this wine is a little lighter on the apricot than many Viogniers means it is a less difficult food match. Because of the wine’s weight I’d avoid any very light or neutral foods but I imagine it would work well with chicken and fish like salmon or tuna (particularly if they’ve been pan fried or even bqqed). Think salmon with a miso and sesame glaze and you may be heading on the right track. 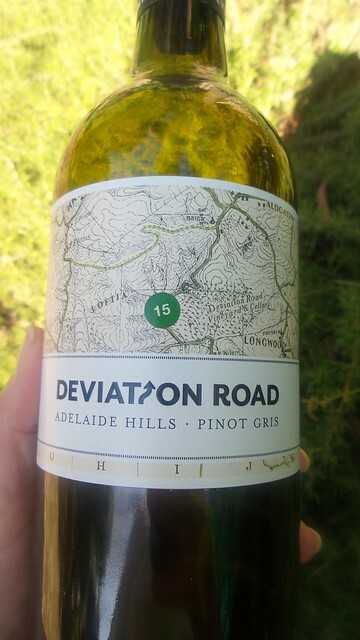 I do not receive so many samples that the novelty has worn off and one of my favourite packages to receive comes from lovely Adelaide Hills winery, Deviation Road. I am still yet to visit the cellar door (I feel like I may have already written this earlier this year) which I feel is terribly remiss of me. But I do champion these wines and the Loftia (the winery’s vintage white sparkling) makes a regular appearance in my classes. I did feel vaguely bad about tasting this wine on my own, as I know that it is a favourite of a friend of mine. But, I do find that if I don’t look at samples sharpish they end up waiting quite a while for their turn on the tasting bench. Plus, it’s been a hot weekend and we’d had a big sushi dinner, and sparkling rosé seemed like just the biscuit … (let’s be honest, that’s the real reason). Pale salmon pink in colour. The nose shows off vibrant strawberries and cream, with a zip of citrus and touch of yeastiness. On the palate the wine comes across as bone dry – the accompanying notes say that the dosage is 9g/L but the excellent acidity means that you don’t really pick this up. The strawberries and cream are there, cut with fresh lemon juice and the wine has a pleasant, almost savoury, finish which has good length. I don’t drink a lot of sparkling rosé (maybe I need to address this) so I can’t benchmark this wine against anything I’ve recently tasted. However, against my general tasting background (and I taste/try/drink a reasonable amount) this wine stacks up very favourably. The strawberries and cream character is both very pleasant and what I have come to expect from a pink sparkling. With an rrp of $32 a bottle, this also delivers sound value. It is 50:50 Pinot Noir and Chardonnay which accounts for the very attractive (and necessary, in my opinion) citrus. 24 months on lees delivers the savoury complexity. It’s lovely that a lot of this (inherently interesting) wine making chit chat shows up in the wine. Yet again, Kate and Hamish Laurie deliver the goods. Deviation Road Altair, sample. RRP $32. A wine from my most recent WSET Level 2 class and one that I bought insanely cheaply at auction (yes, there are still auction bargains to be had). The bottle noticeably big and heavy. The label sparse but sophisticated. The whole thing screams class (bar the rather clumsy back label put there by the importer). 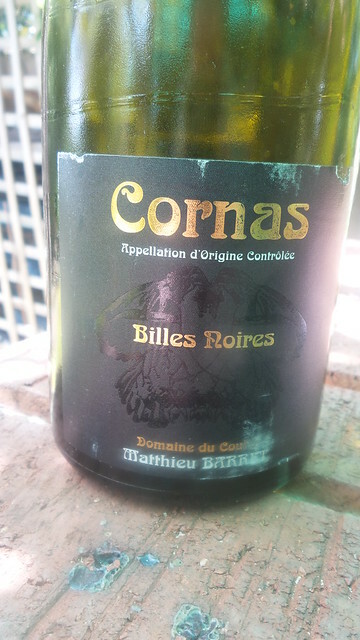 Cornas is a northern Rhône appellation so the wine is Shiraz based. In fact, it is solely Shiraz (no white grapes are permitted, unlike some of Cornas’s northern Rhône neighbours, such as Côte Rôtie or even Hermitage) and the appellation itself consists of just 90 ha. As I bought this at auction, opening the bottle was even more fraught than usual and I held my breath, fingers crossed that the wine would be neither corked nor overtly bretty. Thankfully it was neither. The wine received a resounding thumbs up in class and I loved it. My caveat here is that I am rather partial to this style of Shiraz so, as with any wine, especially one with age, your mileage may vary. In the glass, very deep and still quite ruby in colour, so not showing its age quite as much as I expected. The nose was quite pronounced, and the black pepper which you’d expect to see on a cool climate Shiraz is indeed there. There is also black fruit, licorice and anise. Everything looks promising. On the palate, it delivers: the black pepper, blackberry and licorice are all there, accompanied by chocolate and cedar. There’s acidity and fine tannins with good length and altogether drinkable. It is, to use the most technical wine term available, yummy. To the super sensitive there may be an argument that this wine showed a little teensy tiny bit of brett. Not in quantities to bother me. I am just saddened that when I bought it there was just the one bottle for sale. Matthieu Barret, purchased at auction. I confess – I drink very little Sauvignon Blanc. I have grown very tired of the identikit cat pee style of wine that New Zealand mastered and marketed so successfully that now everyone wants to make it. Everyone bar the French, bien sûr. So imagine my surprise when, on opening this bottle of wine and expecting the worst (that is, more of the same) I was faced with something completely different and yet still identifiably Sauvignon Blanc. Rather than focussing on those pungent herbaceous characters this wine is much more restrained and shows off pineapple and passionfruit. It’s approachable, easy drinking and perfectly clean and correct with enough refreshing acidity to make you come back for me. The best part is that this wine retails around the $9. Yes, that’s right. Just $9. I think this is absolutely banging value and this is a wine I would not hesitate to buy as summer rolls around. Also note its relatively low alcohol content. Oxford Landing Estates, sample. RRP $8.99. Another 2007 wine and completely by accident. Whereas last time we were in McLaren Vale, let’s shift north to the Barossa. I first came across the Yalumba ‘single site’ Shirazes at the Negociants’ Working with Wine Shiraz masterclass last year. I can’t remember now exactly the wine we tried (and I don’t have my handouts immediately to … hand) but I was sufficiently impressed by the wine to spot this offering at auction. On release, this was $60 a bottle but I can see now that you can pick it up slightly more cheaply. I ended up paying around $55 – so a small saving. In the glass, garnet and intense in colour – both as you would expect for an eight year old Barossa Shiraz. The nose did seem quite muted but this may be a very unfair assessment as our house is most kindly described as bloody cold and I’m finding that wine tasting in winter is something of a challenge when it comes to service temperatures. Despite being shyer than you’d expect, the nose showed plenty of black fruit with a touch of licorice and vanilla. The palate was a lot more forward – lots of black fruit and vanilla, with a meat and leather finish. There was good acidity and some pleasant soft tannins and the wine showed good length. I particularly liked that the savoury, slightly developed characters kicked in at the end. The wine definitely has plenty of life left in it so if you are in possession of one or more bottles there is no need to rush. Yalumba. Purchased at auction for ~ $55. I’m sure I’ve mentioned before about my local bottle shop. At a high level, its range is standard – there are lots of wines at the ‘under $20′ price point, there’s a small selection of ’boutique’ wines (small wineries, unusual grape varieties) and a reasonable selection higher shelf reds. It’s not my ideal wine shop but shopping there is not a dire experience, either. The really cool thing about this shop is that every now and then you can discover absolute gems. You know when you watch antique programs on tv (programs about antiques, not programs that are themselves antiques!) and the presenters often talk about someone having ‘a good eye’ – well, that is how it is with wine and our local shop. It’s less about the eyes and more about a gut feel that the price and the label just don’t really match up. So quite a long time ago now I was recovering from a cold and was still quite bunged up so I was very keen to spend under $20. I actually did have a particular wine in mind but wasn’t able to find it so I was wandering around the shop in a slightly still-full-of-cold befuddled state when I spotted the WayWood Shiraz Cabernet 2007 marked down. 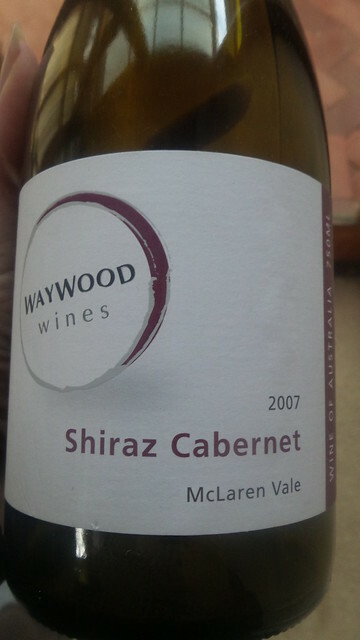 Having met Andrew Wood, WayWood’s owner and winemaker, a couple of years ago I picked it up. That evening, I opened it, poured myself a glass and realised that while I still couldn’t actually taste very much, it tasted pretty good. I shoved the glass to Andy and asked for his expert opinion. As ever, his expert opinion was tempered by “how much did this cost then?” but between us we decided that the price I paid was significant bang for buck. I checked pricing with Andrew and then headed back to the bottlo the next day to relieve them of the remaining three bottles. Since then, I have, on and off, been able to enjoy this wine and earlier this week, I opened the last bottle. My last opportunity to write a tasting note. Intense, deep ruby in the glass. The nose shows pronounced licorice, blackcurrant and blackberry with a touch of violet and some spice and fruitcake. It is pleasingly complex and not overwhelmingly fruit-driven. It is starting to show a little maturity. On the palate, things look really good. There’s good acidity and the tannins are still nice and grippy. This, combined with the ton of juicy black fruit suggests that there’s no rush to drink this wine. Combined with that lovely rich black fruit is some spiciness and even a slight smokiness (or is that smoked meat?). The length is excellent and that attractive fruit is really persistent. There is a touch of alcohol heat there but it is by no means intrusive or detrimental to how much you will enjoy this wine. The chances are that the only place you can now find this wine is at the WayWood cellar door and it could well cost you considerably more than it cost me. WayWood Wines. Purchased as a bin end at < $20 per bottle. Limited availability as museum stock at the winery.